Buchenwald concentration camp, Weimar, 27 June 2004 11. The camp was liberated by the US Army in April 1945. It subsequently fell within East Germany, and was reopened by the Soviet NKVD. Over 7,000 died in what had become Special Camp No 2 before it was handed over to East Germany in 1950. 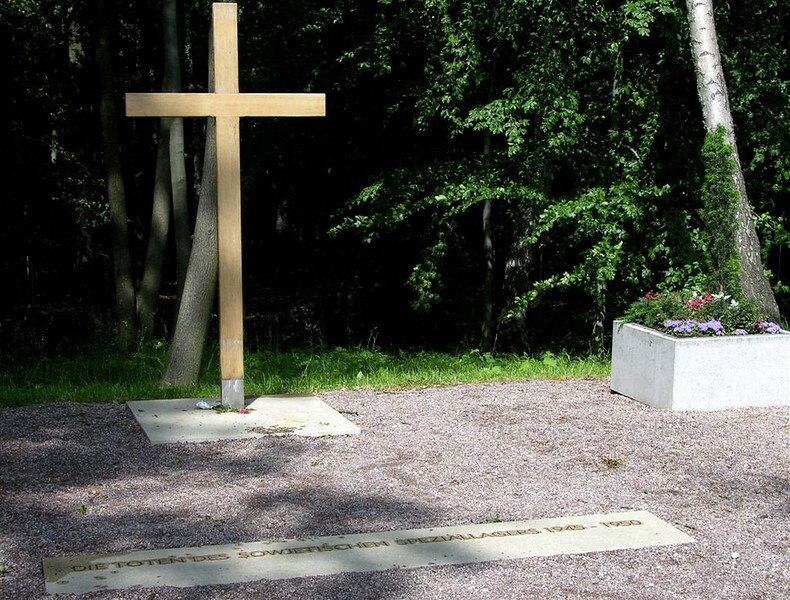 The cross commemorates those who died in Buchenwald after April 1945.